361-557-7003 We are open every day from sunrise to sunset! Ask about shuttle service to and from Port Aransas. NEW & BY POPULAR DEMAND…. WE NOW RENT RODS AND REELS! 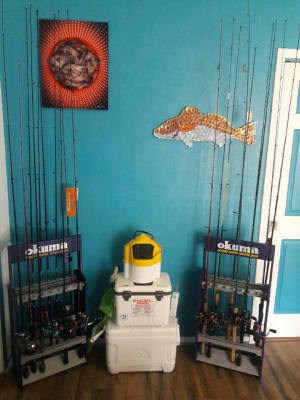 Coastal Bend Kayaking rents Okuma Fishing Tackle, because it delivers! The advanced materials, dynamic design and commitment to longevity contained in their rods and reels are not simply a means to an end, they’re the foundation of a better and more complete fishing experience. Give the Gift of Fun and Adventure – Gift Certificates Available! I consent to Coastal Bend Kayak collecting my details through this form.